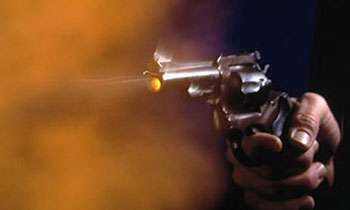 A drug smuggler was injured after the police shot at a vehicle which fled defying police orders in Kurunegala this evening, Police said. They said three other suspects who were inside the vehicle had fled away despite police shooting after abandoning the vehicle in Millawa. Police found one suspect with gunshot injuries and admitted him to the Kurunegala Hospital. Police have taken into custody some heroin while in possession of the suspect.